Today, there is an ongoing debate over national eligibility, with foreign players seemingly choosing their nationality by the country that adopts them. However, the story is not a new one; this story is about a Russian Prince that gave everything for England. Prince Alexander Sergeevich Obolensky was born on February 17th, 1916 in Petrograd (which is now St. Petersburg), into the Rurikid dynasty, an ancient Russian house. As revolution swept Russia in 1917, Obolensky’s family fled their native land seeking asylum in England. Obolensky’s early life was spent at boarding school in Derby, and it was here that his love of rugby grew. Accounts suggest that he lived life to the full, choosing to breakfast on oysters and champagne, enjoying wine, writing theatrical reviews and high table dining, and while his brilliance on the rugby field continued to grow, his academic pursuit suffered, though he would eventually achieve a fourth class degree at Oxford University. He would go on to win two Blues at Oxford, in 1935 and 1937. Despite missing out due to injury in 1936, this would become the year that young Obolensky would cement his place in English rugby legend. Before England met New Zealand in 1936, they had only played each other twice; the first was during the ‘Original’ All Black tour of 1905, where they lost 15-0 at Crystal Palace in London; the next was 20 years later, this time at Twickenham, where they lost 17 points to 11. New Zealand came into the game having beaten London Counties at Twickenham, but not before losing to Wales at the Arms Park in Cardiff; this defeat is perhaps the least talked about of Wales’ three wins over New Zealand to date. 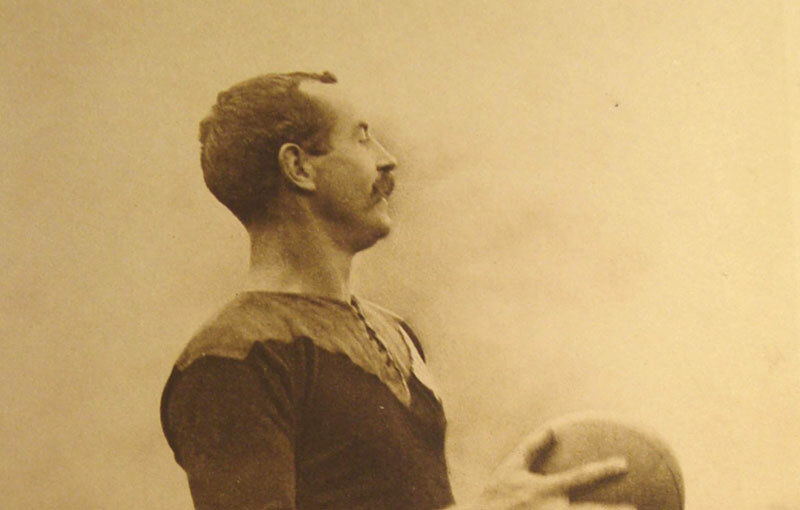 In the build up to the game, it was announced that Obolensky had been selected to play for England, which caused a great deal of controversy throughout the sport. Despite the fact he had grown up for more than 15 years in England, he was still considered Russian. His selection was based on the understanding that he would become a British Citizen; the process was already underway and would indeed be completed a few weeks later. Little was expected of the England team before the game, only that they turn up and put in a good show and at just 20 years of age, Obolensky would step out onto the hallowed turf of Twickenham for his debut as an England international. For the first half an hour the game moved back and forth in midfield, and then Obolensky’s moment arrived. The ball moved out from an England scrum, left to right through the back line, before finding its way into Obolensky’s hands. A double swerve and he was through a gap between two All Blacks before using his pace to go around the outside of the cover defence. He touched down ten yards from the post to the rising cheer of the crowd. His legend was born in that moment; one of the tries of the decade, and perhaps one of England’s greatest ever tries, but he wasn’t finished yet. As England broke through midfield, Obolensky received the ball just outside the New Zealand 25 yard line. He had to check himself to catch the pass that was behind him, but it gave him an opening as the New Zealand players followed the flow of the game into the right hand corner. He saw in that moment the space open up on the left hand side and made a dash for it. Rather unorthodoxly running diagonally across the field, he outpaced 4 defenders before arching back to touch down. England would win the game 13-0, their first victory over New Zealand, in what would be christened ‘Obolensky’s Match’, and whatever questions had been raised before the game over his nationality were soon forgotten. The fame that Obolensky has achieved as a result of this game has outlived many of his contemporaries, which is due in part to British Pathé who delivered the game to millions of people with their coverage. 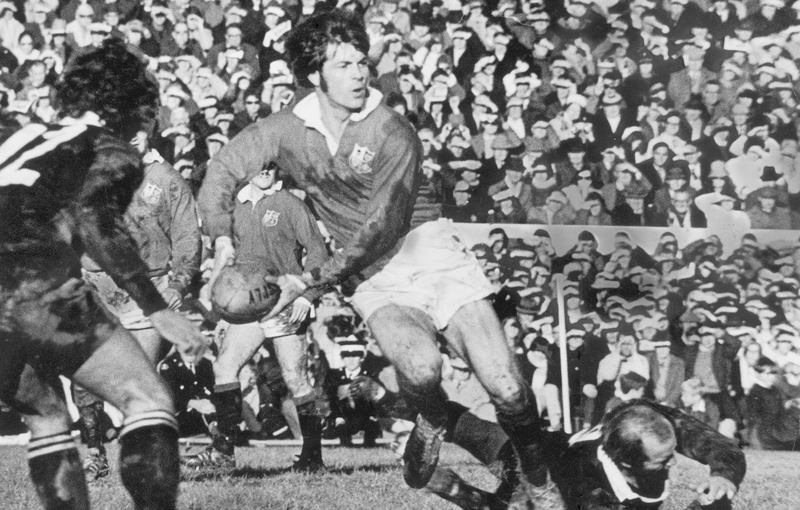 England however, would not beat New Zealand again until 1973. 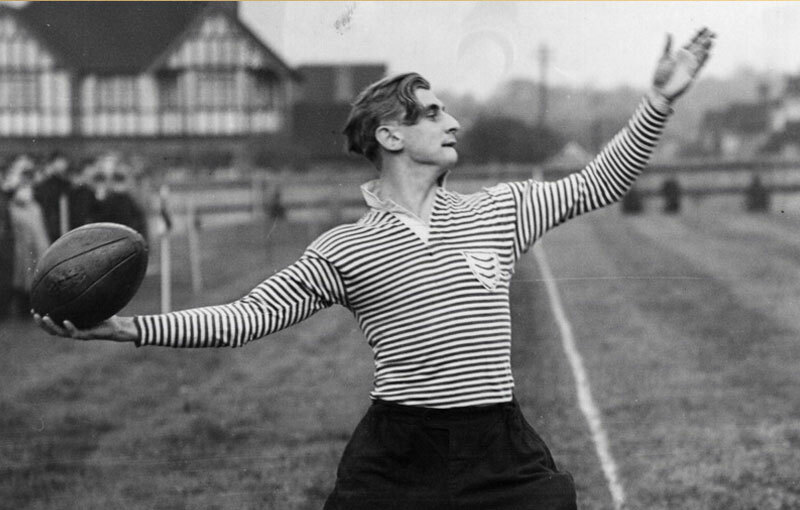 Obolensky would go on to make three more appearances for England in 1936 in the Home Nations championship but would score no further tries. Though there is no evidence to back it up, Obolensky is attested to have scored seventeen tries against Brazil during that summer on tour with an English representative side. 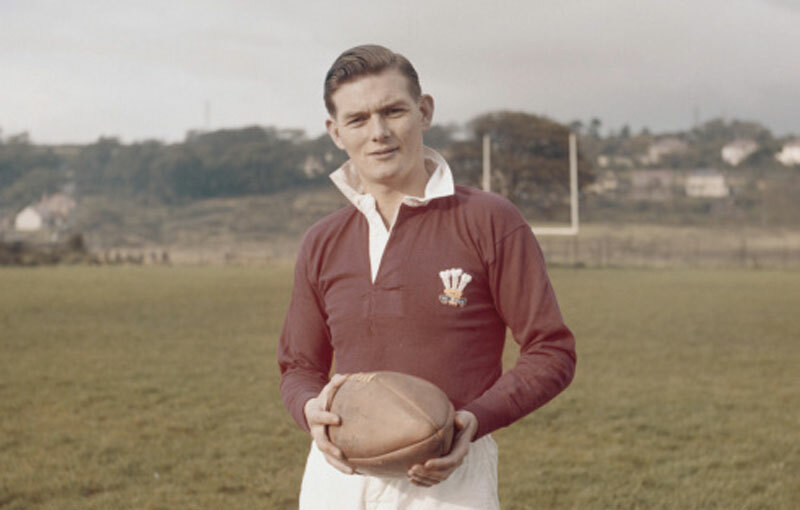 As well as being selected to play for the Barbarians, he was also appointed a Knight Of St. John in 1938. Within four years of his Twickenham heroics however, he would be dead. When the call to war came, Obolensky joined the RAF. His lifestyle perhaps drew him to the dashing pilot image, but further to this, a desire for his adopted country to avoid the fate of his native one must have been a driving force. His life would reach a tragic end on March 29th, 1940, when his Hurricane L1946 overshot the runway during a training accident at Martlesham Heath. He was 24 years old. 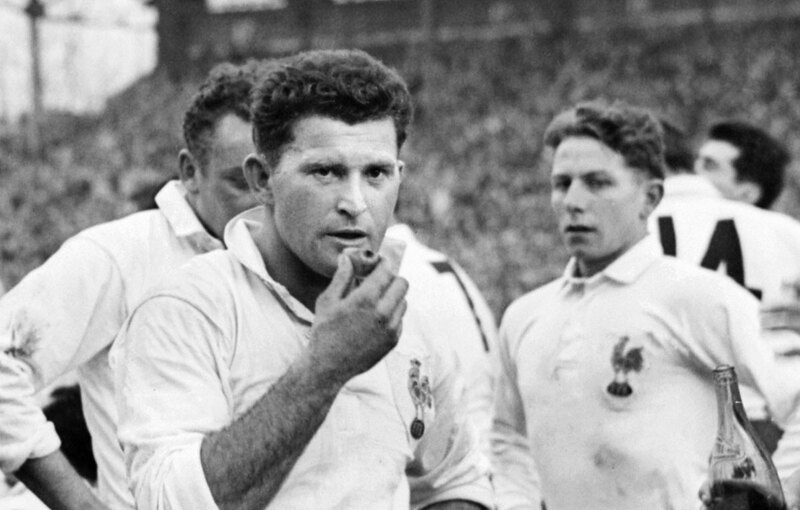 In a moment his legend came into being, and like so many, we would never see how great he could become, but ‘Obolensky’s Match’ will forever be etched into history as the first time England beat New Zealand.